When Loyola President Jo Ann Rooney took office in 2016, she said one of her goals was to mitigate tuition increases at Loyola. Three years after she took power, she announced the highest tuition increase since the year before she took office. Her reasoning for the 3.3 percent increase? A new residence hall for upperclassmen and upgrades to Loyola’s private police force, Campus Safety, among other improvements. The reasons for the increase are all problems Loyola itself has created, yet, students are getting stiffed with the bill. 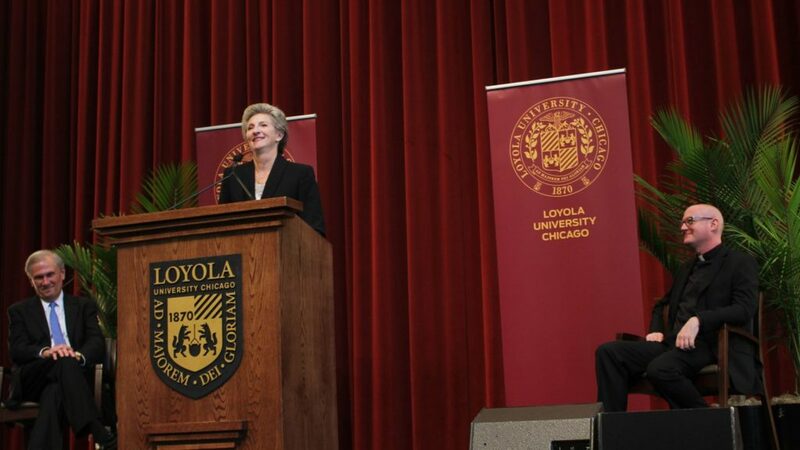 In her inaugural address in November 2016, Rooney said she’d prioritize limiting Loyola’s reliance on tuition increases to fund the university, The Phoenix reported. She’s now going back on that promise with the highest tuition increase in her tenure. The university needs another residence hall because more students are being accepted than ever before. This year, Loyola brought the largest class in school history. This comes after the classes of 2020 and 2021 both came in as the respective largest classes in history. Notice the trend? As that number climbs, however, more students will be struggling to find places to live on campus. Some are currently being forced off campus, while some first-years and sophomores are even crammed into “converted” triple rooms, The Phoenix reported. In the 2016-17 school year, students were even housed in The Sovereign, an off-campus apartment building. That number is all but certain to increase. 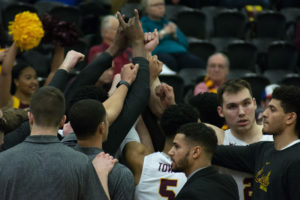 Dean of admissions Erin Moriarty told The Phoenix that while the Class of 2022 saw some impact from the Loyola men’s basketball team’s Final Four run last year, which brought national attention to the school, the effect will be felt even more with the Class of 2023. Yes, the new residence hall is necessary. There’s no denying that. But the university didn’t have to take in so many students when it knew there wasn’t enough room for them. While students will have to pay for the university’s housing crisis, they’ll also have to pay for improvements to Campus Safety. The Phoenix has done extensive reporting on the problems surrounding the police force over the last few years. In the last two years, Campus Safety has been less accountable to the student body and less transparent — so much so that an independent investiagtion found Campus Safety had to take steps to improve transparency. So why should we just nod our heads and take more investment without being told what it is? 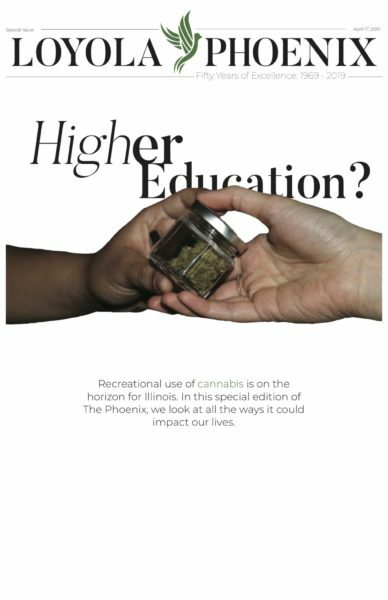 The Phoenix has a lot of questions about the tuition increase. But university spokesperson Evangeline Politis refused to make Rooney and chief financial officer Wayne Magdziarz available for interviews about specifics. Part of the tuition increase is also slated to go toward refurbishing Sean Earl Field and part of the construction costs of the $18.5 million Alfie Norville Practice Facility. But only $1-2 million of university capital will go toward construction, associate vice president of facilities Kana Henning said at a community meeting in January 2018. Although the athletics facility isn’t a problem Loyola created, the housing crisis and Campus Safety are. Why should our tuition dollars be used to fix the school’s own mistakes? Couldn’t this money going toward students’ actual learning experience? The school had financial problems before Rooney moved into her downtown office, but why make promises you can’t keep? Instead, she said at her inauguration two years ago, when she laid out her goals, that among them was to boost Loyola’s alumni donations. That number is dismal. Only about six percent of alumni give to the school, recent numbers showed. A 3.3 percent rise in tuition would put the cost of attendance at $44,130. While 97 percent of students receive some sort of financial aid as of 2016, according to Loyola’s website, it’s not the students who should pay for problems the university created for itself. Again — these improvements are necessary. But you can promise new developments or promise lower tuition.